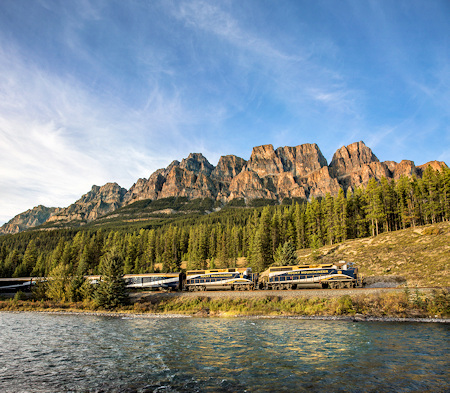 Rocky Mountaineer® Rail Vacations in the Rocky Mountains and Western Canada. 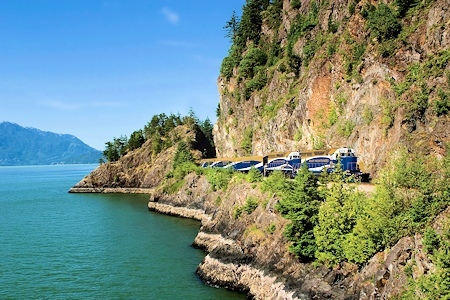 Book Rocky Mountaineer® Rail Vacation Packages. Rocky Mountain Holidays is a global wholesaler for the award winning Rocky Mountaineer® train - the only all-daylight train journey from Seattle and Vancouver to the Canadian Rockies. 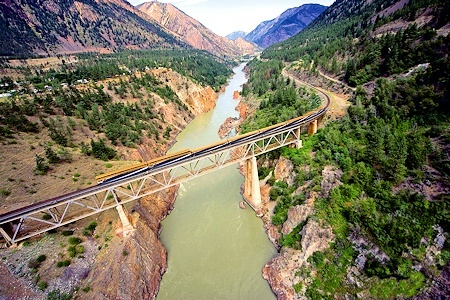 We specialize in offering train vacation packages from April through until October which include this magnificent rail journey across western Canada. With over a decade of experience, you are in good hands when you book through us. Since 1990, Rocky Mountaineer has carried close to two million guests into the heart of the famed Canadian Rockies and we want to ensure you get the most out of this train trip of a lifetime. Our office is located in Beautiful British Columbia B.C., Western Canada. We are just 4 hours east of Vancouver, and centrally located to the services we offer. We can help you with every single detail of your holiday here in BC, and Alberta, right across to Canada's rugged Atlantic coast. Rocky Mountain Holidays combines the romance of train travel with the magnificent scenery of western Canada and the Canadian Rockies. 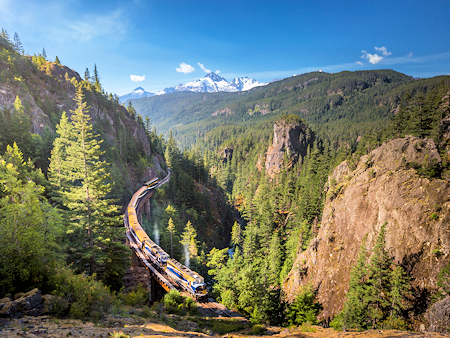 Beginning in late April through to early October, the Rocky Mountaineer® offers two-day and three-day, all daylight train excursions between the coastal cities of Vancouver (British Columbia) and Seattle (Washington, U.S.A.). This spectacular train journey will take you into the Canadian Rockies destinations of Jasper (Journey through the Clouds route) or Lake Louise and Banff, Alberta (First Passage to the West route). Both two-day routes from Vancouver include an overnight hotel stay in Kamloops, B.C. 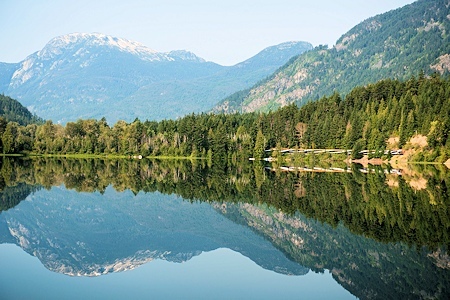 The Rainforest to Goldrush route combines the 3.5 hour train from Vancouver to the mountain resort of Whistler, with the 2-day rail to Quesnel (B.C. ), and Jasper. 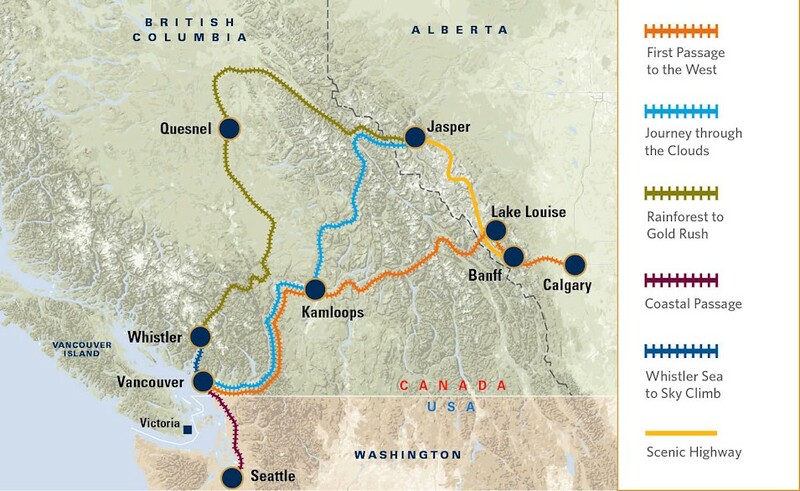 Overnight hotel stays for this 3-day rail route are included in Whistler and Quesnel. 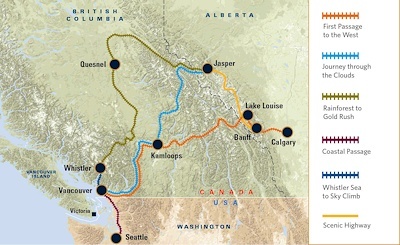 Rocky Mountaineer's newest route, the Coastal Passage, allows you to connect these Canadian Rockies routes to or from Seattle, Washington, with a 5 hour train journey to or from Vancouver. 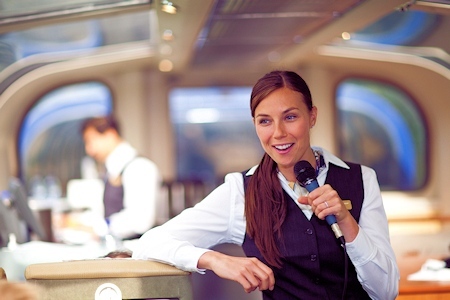 On all routes, onboard the Rocky Mountaineer train you have two levels of service to choose from: SilverLeaf and the most luxurious offering, GoldLeaf. Visit our website for more information including virtual onboard tours of the coach interiors and a video comparing these onboard service levels. For the sightseeing motorcoach portions of your Canadian Rockies vacation, we use knowledgable local tour guides for each part of your vacation ensuring your experience is varied, entertaining and enjoyable and most importantly, you won't miss a thing! For those of you who would like more freedom in the Canadian Rockies, we do offer self-drive itineraries with car rental coupled with the Rocky Mountaineer train. 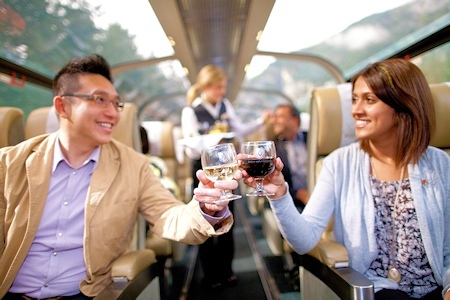 To get started, you can search all Rocky Mountaineer Vacation packages online through our website and our specialized and knowledgable staff ensure that you can customize any package to your exact preferences. 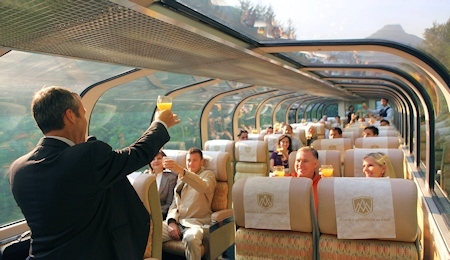 Rocky Mountaineer offers four distinctive rail routes which, combined with sightseeing excursions and carefully selected hotel accommodation, will be a main highlight of your Rocky Mountain vacation of a lifetime. Our independent, online reviews highlight our dedication to providing exceptional service since our inception in 2005 - a trait which sets us apart from the competition. We are licensed by Consumer Protection BC, have an A+ rating with the Better Business Bureau and a 5 star review rating through independent online review websites. Our guest experience is our number one priority. 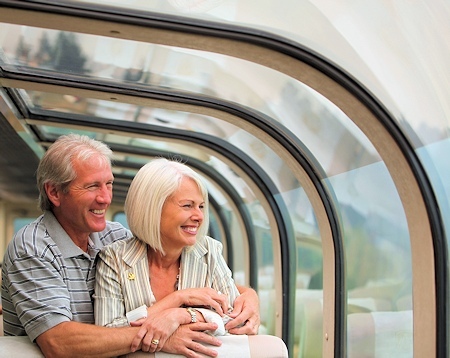 Booking through us is the most cost and time-effective way to plan and book your Rocky Mountaineer vacation in the Canadian Rockies and Western Canada.